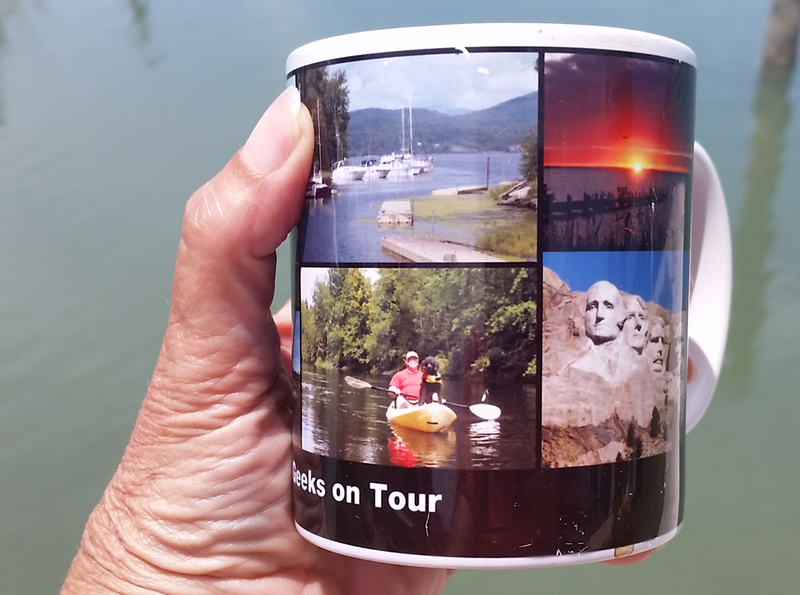 I love my travel photo coffee mug! When I’m bleary-eyed in the morning and just drinking my first cup of coffee, it gets the day started right to be staring at personal photos of our favorite adventures. You can put your photos on all sorts of things using services like Shutterfly, Snapfish, Walgreens and even Walmart. I’ve taught people how to do this several times using Picasa on the computer. But, what if you only use your phone and tablet anymore? With nothing more than your smartphone, you can now upload pictures to Shutterfly and order them on coffee mugs, pillows, mouse pads, tshirts, and many more. Just go to your Play Store for Android or the App Store for Apple and download the App Shutterfly. Once you open it, you’ll need to set up an account. It’s free, just enter your email address and a password. Now you can upload pictures from your phone or tablet and they will be available for Shutterfly to print on anything you’d like. 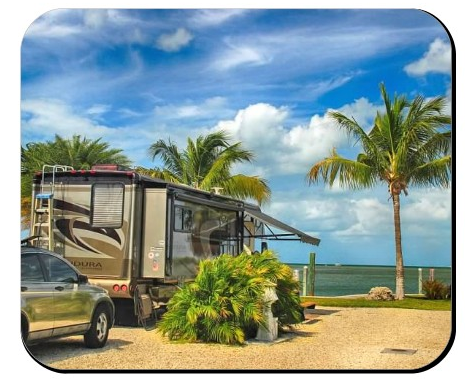 This time, I ordered a mousepad so I can remember this beautiful spot where we are parked in the Florida Keys! It’s $6.99 for the mousepad, then another $6 for shipping! If I waited and saved up some more things to order, I could get free shipping on orders over $39. But, hey – seeing this beautiful picture every time I look down at my mouse …. priceless! Published by MrsGeek, in Blog. Tagged with Android, Apps for Travelers, Droid, Geeks on Tour, Google Photos, iPad, iPhone, photo editing, Photos, Shutterfly App, smartphone cameras, Smartphones, Technology for Travelers.